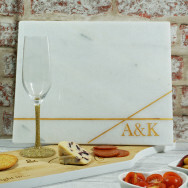 Take a look at our luxury engraved marble. 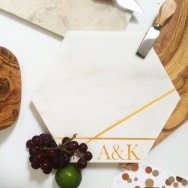 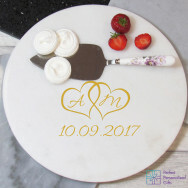 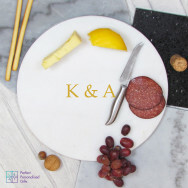 Personalise these marble cheese boards to make them unique and one of a kind. 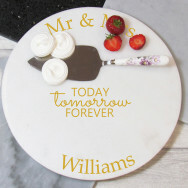 Perfect for wedding gifts, birthdays and many other occasions.